WWE To Open Several New Performance Centers Around The World? Big changes coming to WWE's acclaimed developmental system. 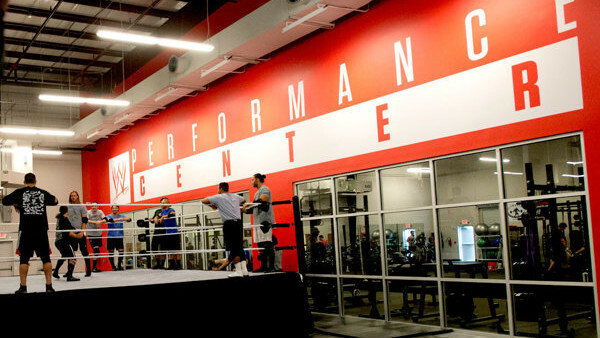 WWE's Performance Center has proved itself a remarkably reliable source of main roster stars since opening in 2013, with its success helping spark a revolution in the company's developmental system. Now, it looks like WWE are about to replicate this on a global stage. As we reported last week, WWE's recent financial windfalls look set to expedite their global expansion. New Performance Centers are supposedly a part of this, and in this week's Wrestling Observer Newsletter, Dave Meltzer writes that the company are looking at locations in the United Kingdom and Saudi Arabia specifically. Neither should be a surprise, given WWE's recent business in both nations. What's more interesting is that the promotion are seemingly considering Japan as well, despite their relative lack of popularity there compared to other places, though they're still the clear market leaders. Regardless, as Meltzer writes, Japan is one of wrestling's key global hotspots, and the nation produces an absurdly large volume of outstanding male and female performers at every level on the promotional pyramid. Setting up shop there would allow WWE to take full advantage of this, and perhaps put a dent in NJPW's business in the process.